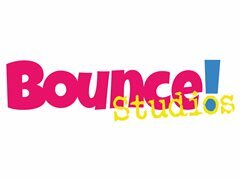 We are a Nationwide company, looking for additional ‘FUN’ dancers/choreographers to join our team in all areas of the UK but particularly in Bath, Cardiff, York, Cheltenham, Gloucester, Oxford, and Newquay. Our parties are for 1.5 hours and are normally held on Saturdays between 10am to 6pm but we do also get bookings for Sundays / and weekday evenings. The work is on an occasional basis, when we get a booking in your area. All we ask is that our instructors have their own Public Liability Insurance and are happy to instruct for different styles of dance (of which we do have videos for you or you are welcome to make up your own choreography!). If you would like to work with children you will also need to have a current DBS. We pay £50 for a 1.5 hour party. Dance qualifications are not essential but experience of choreography and Dance Instruction are. If you feel you have the qualities to create a great 1.5 hour party (with more opportunities for occasional work) please contact us.